Wejuseg Construction Inc. is a privately-owned construction company offering general contracting services for civil engineering projects. Our highly skilled team has the proven capability to deliver work of the highest standard in some of Canada’s most challenging terrain. Operating in Quebec and New Brunswick, Wejuseg is a Mi’gmaq owned company with access to a bilingual Mi’gmaq team of professionals and tradespersons. Wejuseg means “powerful wind”. With the completion of the wind park in Gaspesie, Quebec we were able to train and engage over 100 Mi’gmaq tradespeople. Creating an energy source from the wind was empowering. Watching our community learn skills and engage in the project was uplifting. These projects were on Mi’gmaq land and were completed with the help of the Mi’gmaq people. Pride in our work is paramount and by naming the company Wejuseg it is our way of honouring our Mi’gmaq heritage. We have the desire and the expertise to create big things. Let our powerful wind lift your project to success. Ms. LaBillois is a Mi’gmaq entrepreneur from Listuguj, in the traditional territory of Gespe’gewa’gi; the seventh and largest district of the Mi’gmaq. 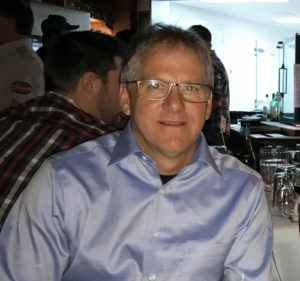 In addition to being the President of Wejuseg Construction, Victoria is also the owner/President of Wejipeg Excavation Inc. Wejipeg was opened in 2011 to assist in the excavation needs of the wind park development across the territory. Victoria is very active in her community and has served in First Nation public service, working at the Band level, as well as regional and national levels. Victoria holds both a Bachelor of Arts degree and M.B.A. from the University of New Brunswick at Fredericton. 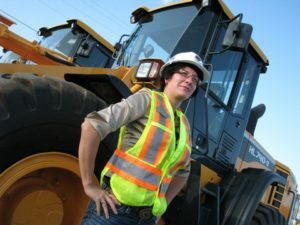 She also holds a contractor’s license from the Régie du bâtiment du Québec. As a coach and role model to many, Victoria serves as a mentor through the Indigenous Women in Community Leadership program at the Coady International Institute, St. Francis Xavier University in Antigonish, Nova Scotia. Victoria’s business acumen coupled with her drive to engage the Mi’gmaq labour force has allowed for her community to benefit in economic development and opportunity capitalization. Her vision, through Wejuseg, is to provide the industry with access to this pool of highly skilled tradespeople. Sani-Sable L.B. was founded on May 15, 1990 by Mr. Luc Boudreau who is still the current shareholder. Originally, the company was involved in the sandblasting business. In 1996, activities gradually moved towards civil engineering. Today, civil engineering projects are the majority of the company’s activities. Sani-Sable L.B. Inc. has now become one of the largest private employers in the Municipality of Maria with more than 60 employees during peak periods. Since 2008, Sani-Sable L.B. has also owned a real estate subsidiary (Gestion Sani-Sable). The company along with partners, becameone of the original investors in the 2010 establishment of Vent de l’Est inc. This company specializes in the field of maintenance of wind turbine components.